It was a privilege to work on the new visual identity for Microblink, a research and development company focused on machine vision technology for mobile devices. Using the most advanced neural networks and deep learning techniques they’re providing the fastest and the most accurate text recognition using a smartphone camera. Our challenge was to communicate their essence while leaving enough flexibility with visual identity to cover new product developments and future company expansion. This meant the logo had to be aspirational, not literal. Microblink's client list is impressive, coming from banking, finance and insurance sector to travel, automotive and retail industries. With a target group like that establishing credibility was very important. Their new logo brings together two different elements: crosshairs and star symbols. The crosshairs represent precision and accuracy of their technology (actually a visible element in their OCR applications), while the star symbolizes quality, excellence, and speed. 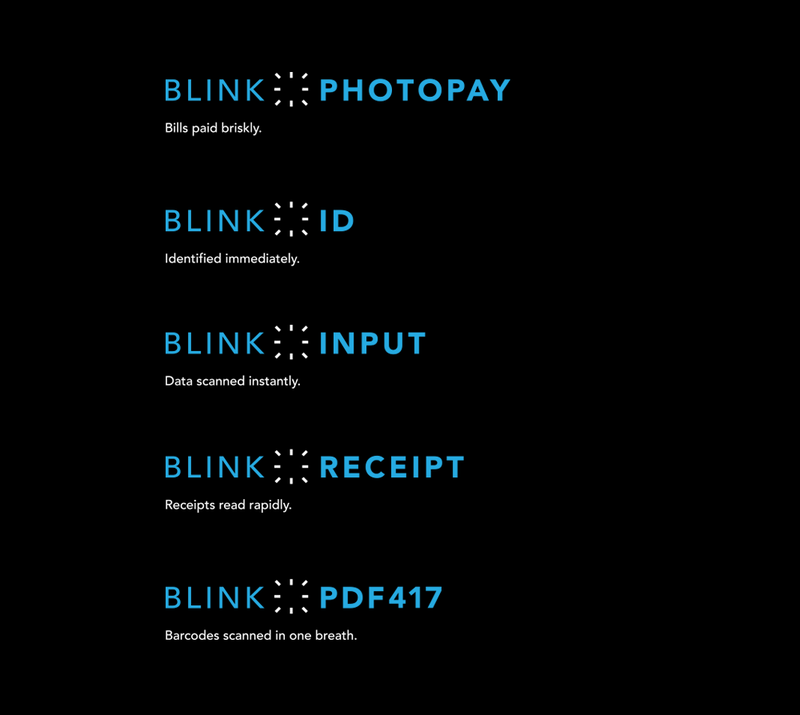 A blink is highly visible, even in static, non animated logo. The dark space within the logo emphasizes the movement towards the future and pairs beautifully with the corporate slogan. Blue and black color system is subtle and understated, serious yet energetic. Through continuous innovation, Microblink is looking past the current trends in the industry and striving to solve not only the problems of today but also those of tomorrow. Therefore their new slogan See beyond figuratively means to be able to imagine the future beyond a certain time or event. Since human eyesight is limited, this actually translates into imagine, feel, anticipate, predict. Microblink's in-house design team will do the implementation of the new visual identity, which we designed to be simple, timeless and easy to use. We wish them lots of success and can't wait to see what magical new technology they'll come up with next.